Here are some of the common candle related questions we recieve from our customers and answers to those. Q. What are your candles made of? A. We primarily make our candles using paraffin wax but have also started a soy wax line and a few candles made with palm wax. Q. Why did my unscented candles smell so strong when they were delivered? A. We make both our unscented and scented candles in the same building which is also where our shipping department is located. All of our packing materials are also in this building. Sometimes the air in our factory can get pretty heavy with fragrance which is absorbed by the packing paper, peanuts and cardboard boxes used to ship the candles. The air can get saturated enough that when we go out to dinner on Friday night, the cooks who know us will come out of the kitchen, while we are still in line, to say hi because they could smell us. 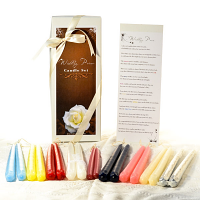 The best thing to do is take your candles out of the packing materials and discard the packaging, if you still feel there is an odor to them you can wipe them with a damp paper towel but when you light them they will not give off any fragrance. Q. Do your wicks contain lead? A. None of our candles contain lead wicks. Our different candle types will either have a cotton, paper, or zinc core. Q. Are candles safe to burn around pets? A. Paraffin wax is made up of Hydrocarbon atoms, meaning, Hydrogen and Carbon connections. When the wax turns liquid and enters the flame area, a chemical reaction takes place. The flame created by this chemical reaction creates heat and light. In this reaction area, the hydrogen and carbon atoms become separated. Also during this reaction, oxygen is being introduced. The Oxygen combines with the Hydrogen atoms and creates H2O, (water vapor). Oxygen combines with the Carbon atoms and creates CO2, (carbon dioxide). Both of these combinations are found naturally in the air. Fragrance added to the wax is generally of the same composition. Therefore any fragrance molecules that enter the flame also produce similar results. The fragrance molecules that enter the air without going into the flame are what makes the room smell great and is typically what the consumer is looking for. Everyone has certain preference types like sweet, floral, spicy, etc. Everyone's sensory preceptors in the nose are different. Some are extremely sensitive, while others are not. Some fragrances can stimulate unpleasant reactions in certain individuals. Animals have similar responses, meaning, there are some smells that they react well to and others they do not. Just as certain individuals with particular sensitivities to certain fragrances react favorably, other individuals could react in the complete opposite direction, some to the point of having physical responses such as sneezing and more. Now, lets talk about soot. Soot can be produced by a burning candle if the wick is too long or large. If the flame cannot handle all of the fuel that is entering the flame area, incomplete combustion results in the production of soot. If air flow is affecting the flame, soot can also be produced. This alters the flames ability to react with all the molecules of wax fuel being introduced into the combustion reaction area. Soot is elemental carbon particles that are no more harmful to humans than the same type of soot created by toasting bread, frying with oils, burnt food, and other similar kitchen incidents. Soot can be created by gas, kerosene, and oil furnaces that need attention and are introducing soot through the air ducts or directly in the air. Just as individuals have different sensitivities, so do animals. When it comes to a particularly species, a veterinarian would be able to offer the best advise concerning that pet's well being regarding fragrances, soot, temperature etc. Q. Is everything on your website made in the U.S.A.? A. No not everything we sell is made in the United States. The majority of, but not all, of the candle products are manufactured by us at our factory in Pennsylvania. 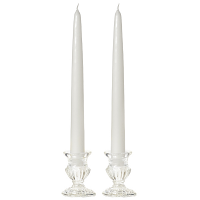 Most of the accessories and a few candle products are imported from overseas. If you would like to know if a certain item is made in the U.S. feel free to contact us and we can let you know. This is my favorite scent. I use other scents during the holiday but for most of the year this is the scent you smell in my home.